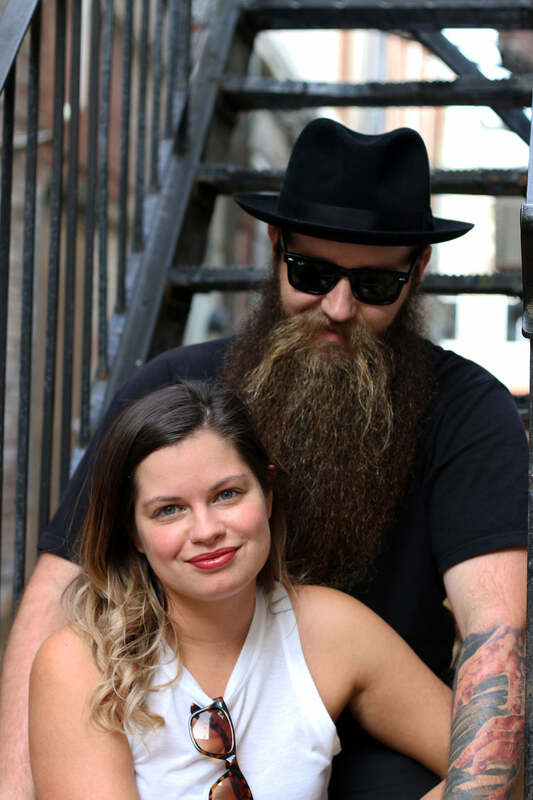 Meet the husband + wife team who created Dream Beard. Hi, our names are Ryan and Brittany Lane, and we are the proud parents of Dream Beard! In 2012, my wife Brittany and I moved to Georgia from Ohio to be closer to family. Since we didn’t really have any money saved up, at least not enough to live as “responsible" adults, we moved in with Britt’s dad. So, there we were, in my wife’s old bedroom from high school living across the hall from my father-in-law! I was ok with it though, because it was only going to be for a few months. Brittany and I hit the ground running, applying to any and every job we could think of. I literally applied to over 300 jobs in a week. After a few weeks of hearing nothing but crickets from our applications, we began to get nervous. During this time, I had a small “business beard” that always itched like crazy. I tried putting lotion on, but that created a funky smell, and I tried a random product that was suppose to help but it didn’t get the job done since beard products were so new on the scene and not many companies knew how to create a product that worked super well. Because I had a lot of free time on my hands, I came up with the idea to start a company selling beard oil, which was kinda crazy at the time considering I wasn't aware of any other companies out there solely selling products for men’s facial hair, or women’s facial hair for that matter! I talked to my wife, and we both agreed we could create a product that truly aids in the pesky problems men have from growing their beards. So, after a lot of research and a little bit of money, $46 to be exact, Dream Beard was born! We first started on my father-in-law’s dinning room table, then we took over the whole dinning room, then his kitchen, then his living room. Before we knew it, we had boxes, tables, and shelves all over his house, but he was a champ about it. As long as he could sit in his favorite chair and watch his shows, he was happy, even if he did have boxes towering over him. He was a real champ about us taking over his house! We were incredibly fortunate to grow at the rate we did. Four months after we started Dream Beard, we had sold in over 35 countries, which blew our minds! Now we have sold in over 80 countries, and we feel so grateful that you and everyone else is so eager to support us in our journey. Thank you so much! Since then we’ve expanded and have developed other products for men’s grooming that aren’t just beard-specific. We’ve been striving to continually come out with new products that make your mornings and life a little bit easier. We have a few surprises for everyone in the future, so make sure to stay tuned! We were one of the very first companies of our kind! We’ll take care of you like family, not a customer!